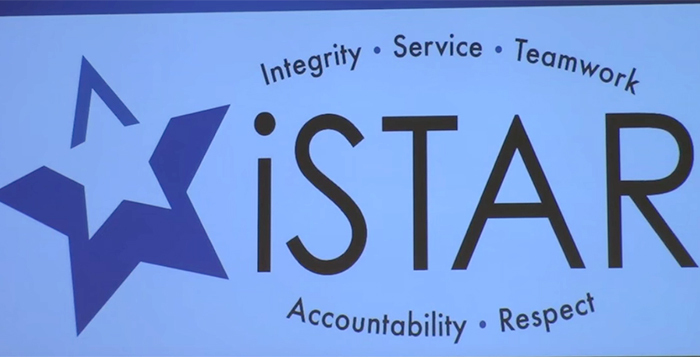 The Maricopa City Council approved new “iSTAR” organizational values and an “iSTAR” logo during its Tuesday meeting. The values, which are “integrity, service, teamwork, accountability and respect,” were introduced during a work session in December, and the city manager’s office has been developing the criteria and logo since. “The goal is for the [organizational values] to be used as a guide for all staff to work with and work within to get to our 2040 vision, as well as to be used in the evaluation process and recruitment of new employees,” Assistant to the City Manager Jennifer Brown said. The council also approved Vice-Mayor Marvin Brown’s nomination of Ken Smart to the Heritage District Citizen Advisory Committee. Smart is a systems engineer for Salesforce.com and was involved with developing the 2040 Vision as part of the 2040 committee. The council also approved an adjustment to the public safety dispatching pay scale, allowing dispatching to have the same shift-differential pay as other emergency services, and a request by the purchasing manager to approve expenditures exceeding $25,000 for Western Exterminator Company, Maricopa Sign Company LLC and Pride Group LLC. Copper Sky Multigenerational Complex and Aquatic Center will be able to adjust their fee schedule to authorize the imposition and collection of fees for equipment rental and to approve adult enrichment programs and senior programs. The fee schedule will be adjusted based off equipment rented and the condition in which it is returned. The Public Works Department also requested a change-order of $34,800 for Visus Engineering Construction, Inc. for construction related improvements on Lexington and Roosevelt Avenues. The project is near completion but had a drainage issue occur after recent storms. Immediate action had to be taken to avoid long term costs. The council unanimously approved the money, and the roads should be re-opened this month. The Maricopa City Council will reconvene on Feb. 16 at 7 p.m.